Lionel Franklin Johnson obituary. Carnes Funeral Home. 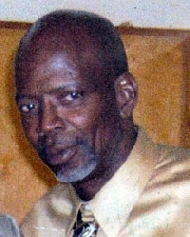 Lionel Franklin Johnson, Sr., 54, passed away in Huntsville, Texas March 3, 2013..Lionel was born in Galveston, Texas October 14, 1958 and attended Ball High School, also in Galveston, Texas. As the eldest of his siblings, Lionel was known for his entrepreneurial skills and dedication to family and friends. With a warm spirit and a "whatever it takes" approach, Lionel filled every room with his glowing personality. He left many fond memories and meaningful impressions - To know Lionel was to love him. He was a kind and gentle person who grew up loving The Lord. Williams and Regina Johnson, and grand kids Dy'ahvion Young and Kei'ston Andrews. Lionel is survived by his loving children Constance Johnson, DevinRandall (Amber), and Lionel Johnson Jr., siblings Evelyn Daley (R.B. ), Andrea Lewis (Marc), Ernest Johnson, Sr. (Latrice), Paula Conway (Carl), a host of nieces, fourteen grandchildren, two step grandchildren, nephews, great nieces and nephews. Lionel was an outgoing and loving man, and he will be missed by all. A public visitation will be held Saturday March 9, 2013 from 9 AM until 1 PM at Carnes Funeral Home, 3100 Gulf Freeway, Texas City, TX. 77591. An home going celebration will be held at Carnes Funeral Home at 1 PM immediately following the visitation. Reverend W. E. Stevens will Officiate.